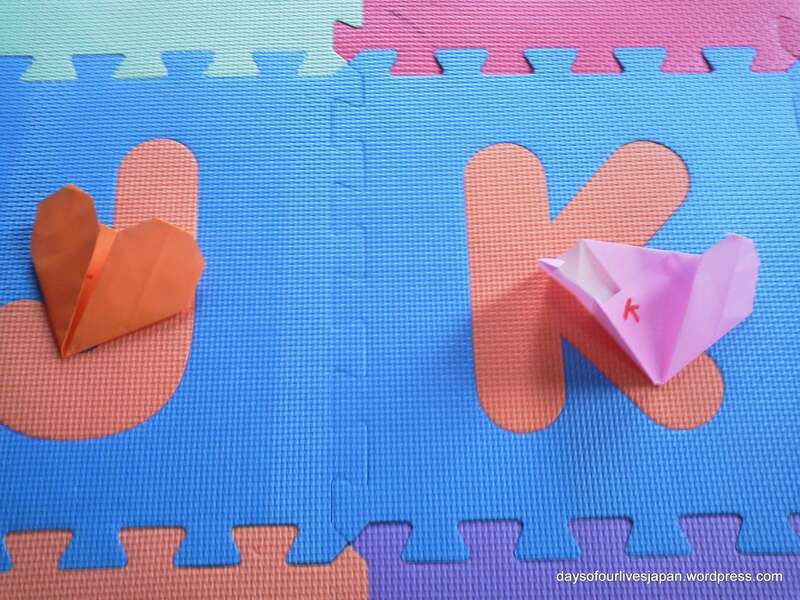 These simple origami hearts, suited to young children and Origami beginners, were a big hit with my toddler and preschooler today. You can find the instructions and a printable version on Origami Club here, a photo of the instructions is also pictured below. The instructions are in Japanese, but each step comes with a visual that is easy to follow. Four year old was able to complete this from the visual instructions with no assistance, three year old needed some help. All you need is Origami paper or symmetrical paper that holds a crease. 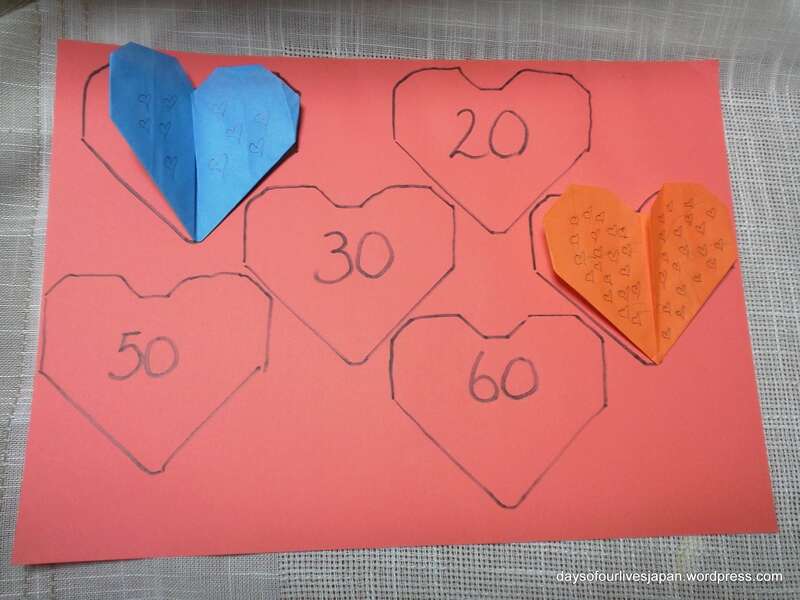 After making some hearts, I came up with a few games using the hearts, that incorporated numbers, letters, reading and writing practice. 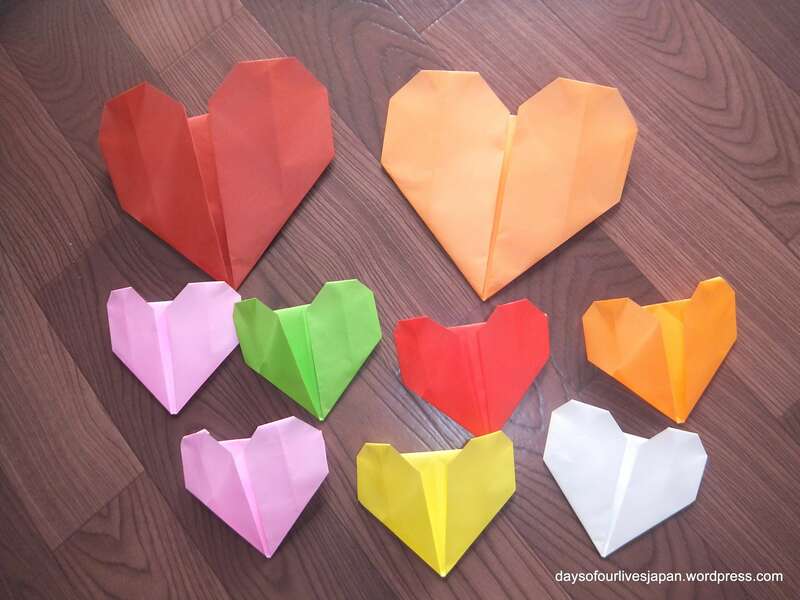 We used recycled origami paper from other crafts to make 30 hearts. 1. 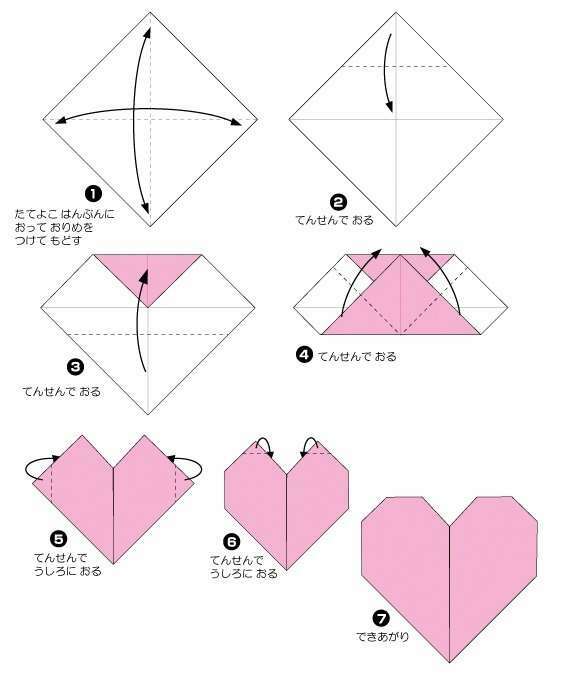 ABC Origami hearts When you finish folding the heart the front parts open up so you can write on the inside of the heart. We wrote a letter of the alphabet on the left hand side of the inside of 26 hearts. 2. ABC match Next, using our large ABC foam mat, we did a physical activity with the hearts. The kids got a heart each, opened it to see what letter they had, then matched it to the letter on the ABC foam mat. Once they correctly placed a letter they took another and raced to place it. They really enjoyed this activity. 3. Word heart match On the right hand side of the inside of the hearts I wrote various 3 and 4 letter words. I then put out a picture card with 3 worded hearts, one of which matched the picture. The kids had to match the correct word to the picture. 4. Claiming hidden hearts Kids love to find hidden things, right? Hide the hearts (with words if you’ve done activity 3 above) around a room and have the kids find them. For older children, have them read the words inside the heart to claim that heart. I was teary eyed and blubbery. They know how to melt you, don’t they!? I can’t get my hands on origami, but you made this one looks so easy. And a perfect timing too. The Daiso 100 yen shops sell great little bilingual (Japanese/English) origami books. They have beginner, intermediate and advanced. They also have a good selection of origami paper. Are there any Daiso’s in Okinawa? Thanks you are so creative! Impressed with the quality of your photos, Elle. How do you do it? Mine look fine on my computer but when I upload them they look blurred every time. Love these ideas which are great for the beginning of kindergarten also! Thanks for these great ideas! I’m always looking for activities to keep my kids occupied. The Valentine theme would be cute to do this week! This is an awesome post! I am a nanny so I will definitely be using these ideas next week! Thanks for sharing! Thank you for your kind words Mayara. ☺And for being my first comment from SYBL ???? I hope your kids have fun with it. So sweet! I love the simple instructions and the colorful results. 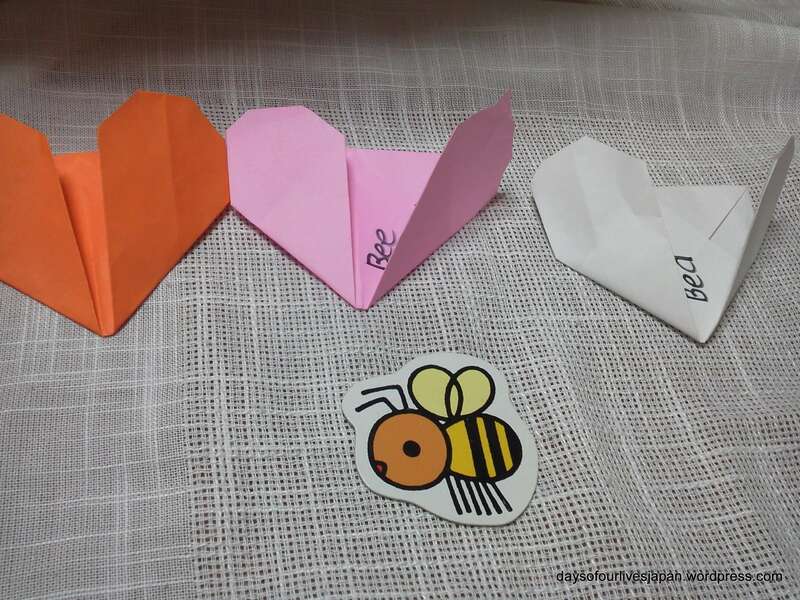 I babysit frequently and haven’t thought of oragami for an activity for younger kids. Good idea.